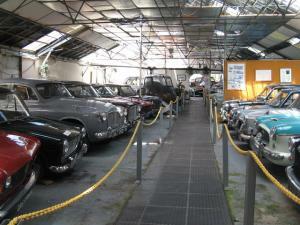 A museum in Herefordshire has been forced to turn its hand to selling vehicles because it has run out of room to store its range of classic cars. The Stondon Motor Museum is putting 13 of its classic cars up for sale at an auction this week as it has found itself too pressed for space to store or display the vintage motors. ClassicCarsForSale.co.uk reported that among those for sale are a 1989 Mini 30, a Volkswagen Beetle-based Bugatti Type 35 replica and a 1978 Triumph Dolomite. For those also looking to earn money in the motor trade industry in a more professional capacity, it is important they have the right insurance in place. A road risks insurance policy will allow an individual or specified members of staff to drive other vehicles as part of their business operations – there are also specialist policies to provide cover for certain types of car, such as classic or vintage vehicles. Furthermore, anyone operating out of a business premises, on which it stores cars, will need a combined motor trade insurance policy that will cover the vehicles on site. The automotive museum has stressed that it is not downsizing or closing any exhibitions. The director, Maureen Hird, explained: “We’re simply trying to make space for all the other exhibits. “We haven’t got anything coming in to replace the classics we’re putting up for auction, but we’re looking to rearrange the cars we have to make the museum better for visitors."